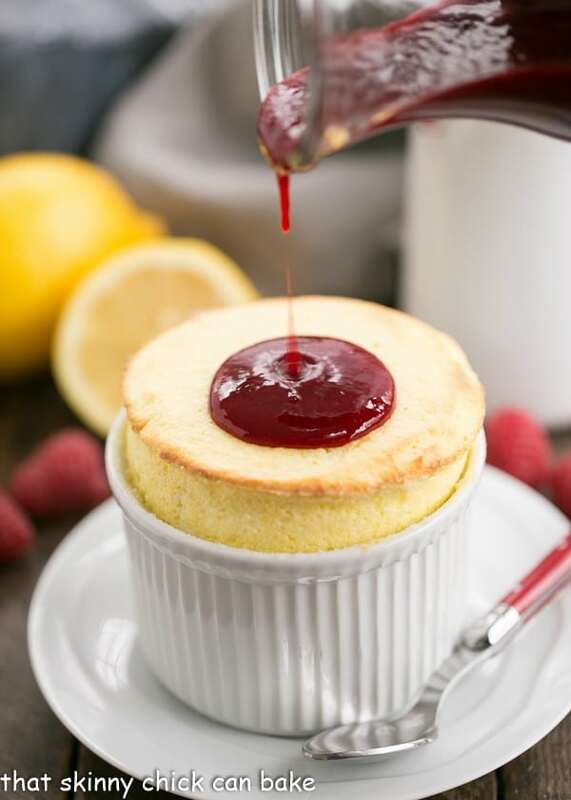 Lemon soufflés are a beautiful, fragrant, and delicious single serving dessert, topped with fresh raspberry sauce. 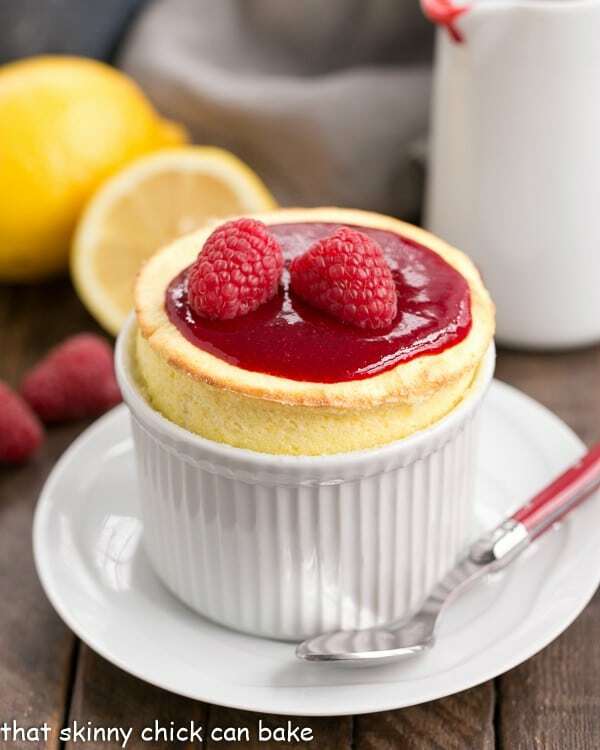 Winter is the time to focus on citrus, and the Raspberry Topped Lemon Soufflés recipe brings lemons to the center stage! The thought of making a soufflé may seem daunting, but with a few tips, it’s not so difficult. A few years ago, I invited some friends over for a bake along. One mentioned she wanted to try the lemon soufflés from Mary Sue Milliken she’d seen on Top Chef Masters. It was served with rhubarb sauce, but due to the season, I substituted a simple raspberry sauce. The perfect pairing! The tasters loved this. These sublime soufflés puffed up perfectly, and the lemon yellow was an amazing contrast to the deep red raspberry sauce. We all decided the whipping, straining, cooking, dirty pots and pans might be too much for a dinner party dessert. If you’re determined, you could pre-make the lemon base and whip the egg whites while your guests are finishing dinner. They definitely are show stoppers and worth the extra effort. Remember that egg whites beat best at room temperature, so get them out about an hour ahead of time. PRO-Tip: You can always put the eggs in a bowl of warm water if you don’t have time to spare. This will warm them up quickly. When eggs are a room temperature, it is more likely the egg yolk will break when you’re trying to separate them. I suggest separating each egg into two empty bowls, then transferring to the collective bowls (8 yolks in one, 9 whites in another). PRO-Tip: Note that any fat (from a little grease left in the mixing bowl or a bit of egg yolk contaminating the whites) in the whites will prevent them from whipping to firm peaks. It is worth a little extra effort to use the 3 bowl method mentioned above, so you don’t waste 8 eggs (been there!). These soufflés, like all soufflés, will start to deflate as soon as they emerge from the oven. 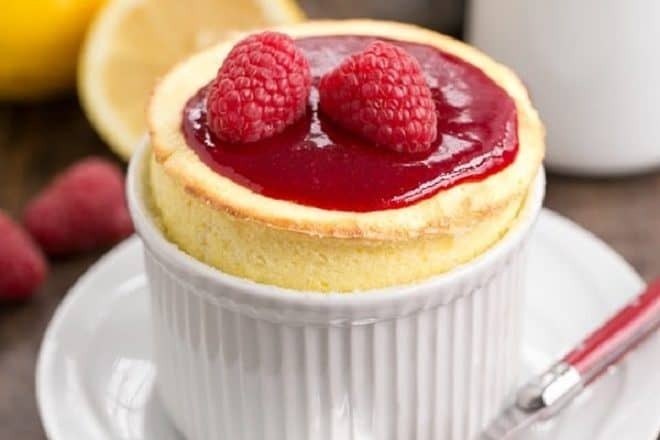 If you want to impress your guests, have the raspberry sauce ready to go, then make the souffles after dinner and serve right from the oven. Welcome to another edition of Progressive Eats, our virtual version of a progressive dinner party where each course is held at a different home. 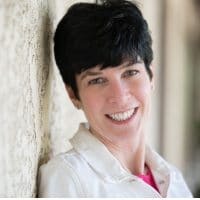 With Progressive Eats, a theme is chosen each month, members share recipes suitable for a delicious meal or party, and you can hop from blog to blog to check them out. This month’s theme is Citrus hosted by Coleen of The Redhead Baker. Enjoy these lemon, Meyer lemon, orange and blood orange recipes, ideal for any special occasion and the perfect way to celebrate citrus season! Preheat oven to 375º. Generously butter 12 6-ounce ramekins, then coat with sugar. Whisk together yolks, flour, zest and half the sugar (1/4 cup). Bring milk to boil in a saucepan. Slowly pour milk into yolk mixture, whisking constantly to prevent yolks from cooking. Return mixture to pan and whisk, while cooking, till thick like a pudding, 1-2 minutes. Strain through a sieve, then stir in butter and lemon juice. Beat egg whites till foamy. Gradually add remaining ¼ cup sugar and whip till medium firm peaks form. Stir ⅓ of whites into yolk mixture. Fold in remaining whites gently with spatula. Fill each soufflé cup to the top, tap to settle, and smooth the top with a spatula. Run your thumb around the inside perimeter of each dish. Place soufflés on a baking sheet and bake 15-18 minutes till they rise about an inch above the rim but are still jiggly in the center. Lightly dust with powdered sugar and serve immediately with raspberry sauce if desired. To make the raspberry sauce, cook raspberries and sugar till fruit is soft and breaking apart. Strain through sieve. Add squeeze of lemon juice. Cool before serving. I used 8 ounce ramekins and baked the same amount of time. I only had enough batter to make 5 soufflés. I think this is the prettiest souffle I have ever seen. Well done, Liz! 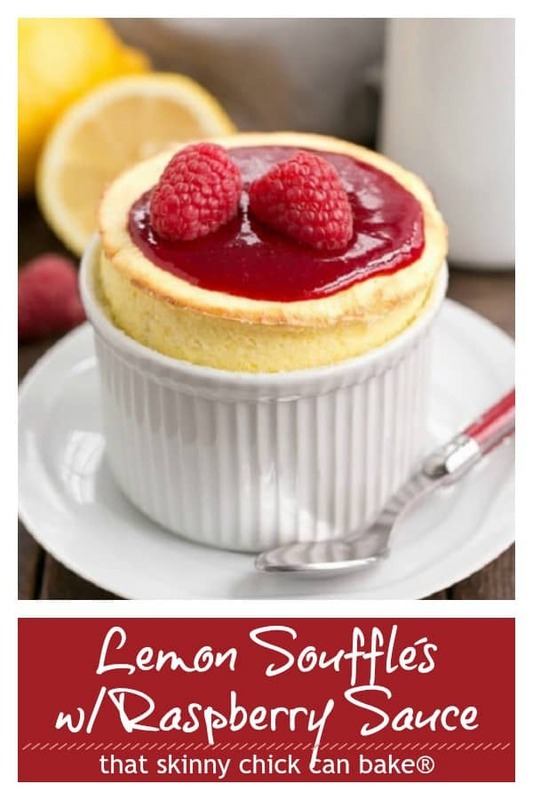 I love raspberry but wow what a lovely surprise with another favorite lemon flavor and elegant souffle! nice one! 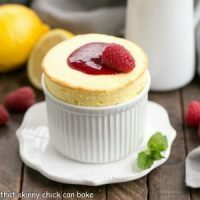 I have always wanted to try making soufflés but never so much as now with this gorgeous lemon version. Maybe I’m just afraid I’ll eat the whole thing myself! It is absolutely gorgeous Liz – bravo! I really enjoy a multi-step recipe – so much fun to bring it all together. Pinning! What beautiful souffles! Love the raspberry lemon combination! Those are perfection! Special dessert for Valentines perhaps ….. might have to try this!! They look and sound amazing Liz. Lemon + Raspberry = mind blowing flavor. I love to make souffles!! Your’s came out perfect!! Saving to make these little babies! 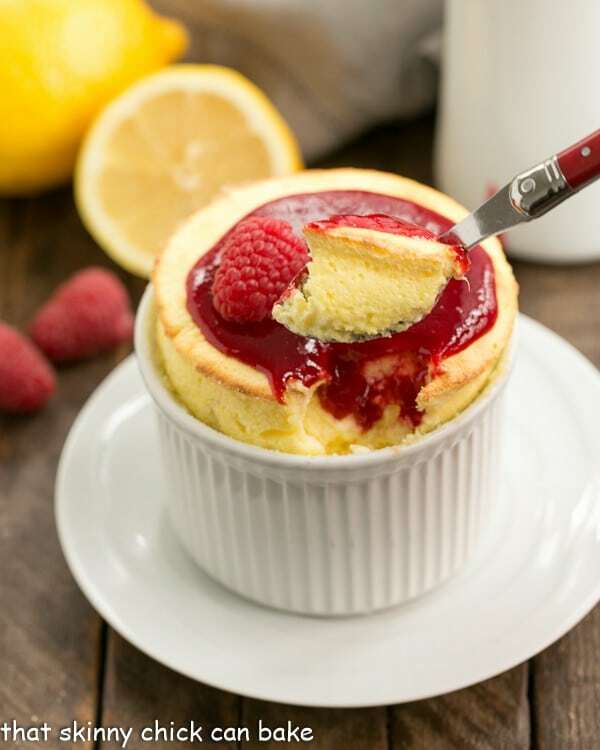 OMG Liz…this souffle looks perfect and I love the combination of lemon and raspberry…absolutely gorgeous! What a great dessert, Liz! Lemon beats chocolate any day in my opinion. Looking forward to making this! Love the lemon raspberry flavor combo. Great pictures as well. These look really fantastic and also very pretty! Lemon? You’ve got my number! Love the stuff. The pictures in this post are perfect. As is the recipe. Thanks! All I can say is WOW! That souffle is picture perfect! What a gorgeous little dessert, Liz. 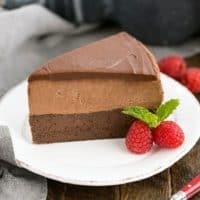 I suggest that your guest retire to the living room to allow dinner to digest and then serve dessert about 30-60 minutes later, that way, you have time to put this lovely dessert together and enjoy your guests. I usually serve dessert right in the living room beside a roaring fire. 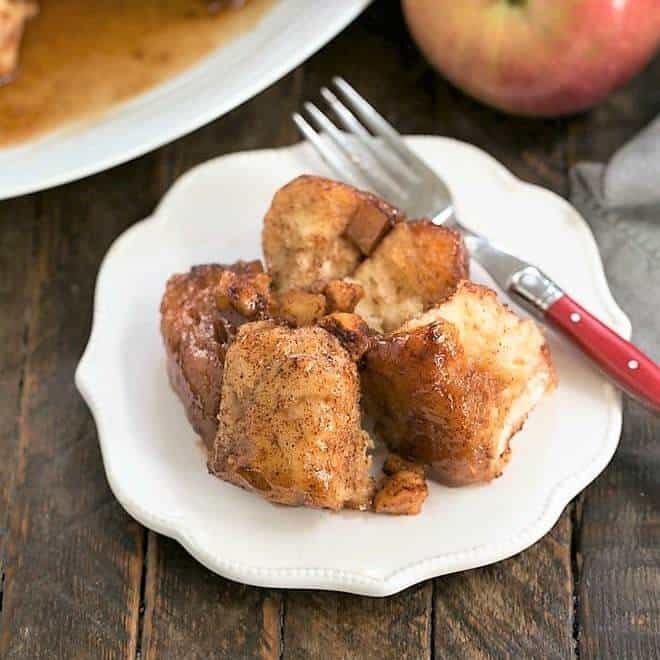 Hi Liz, you always make the prettiest desserts, love the sweet and tart going on here. Your souffle looks perfect. Oh my gosh, your souffles are so all and perfect, Liz – absolutely gorgeous! Such beautiful soufflés, I love that pretty raspberry topping! This is a beautiful dessert. I have never made souffles before but really should try them. This looks so yummy! Thanks for sharing. Classic favor pairing and they look so delicate. I must admit that I’ve never tasted or made a souffle but I look forward to trying one. 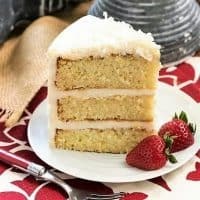 I made these for my husband and I for Father’s Day and they were delicious! I used fresh raspberries. I can’t wait to make again. These look incredible. I’m definitely going to try them over the festive season. Fabulous flavours. Love the raspberry and the lemon together! this is one heck of a showstopper! I think i would impress my whole family if I made this for them so pretty! These came out as perfect as they look! So decadent! 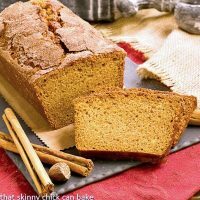 I’m in love with this recipe. This made me feel so accomplished, thank you! Such a beautiful sweet treat. That sauce was meant for this! 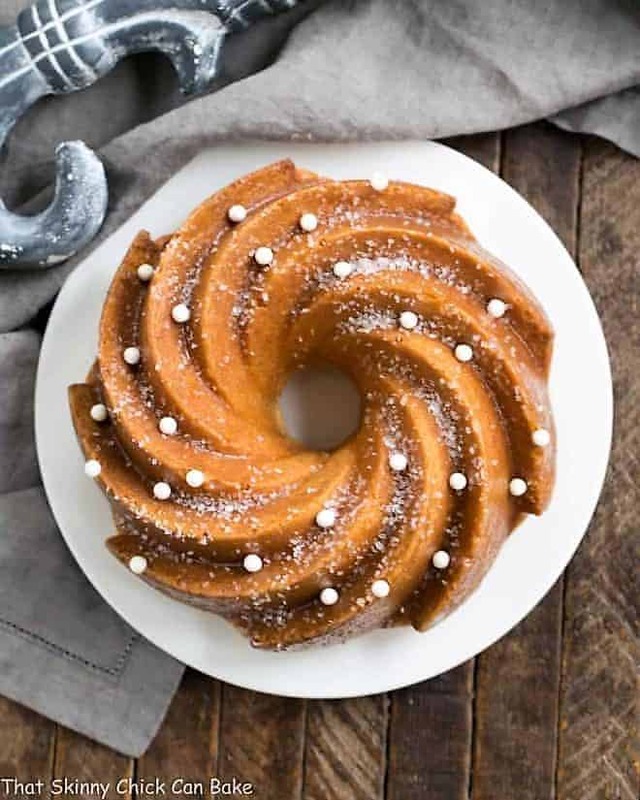 This dessert is so pretty and delish! This was so good! 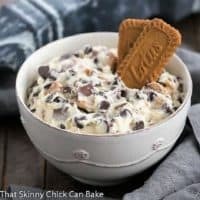 Such an amazing dessert! 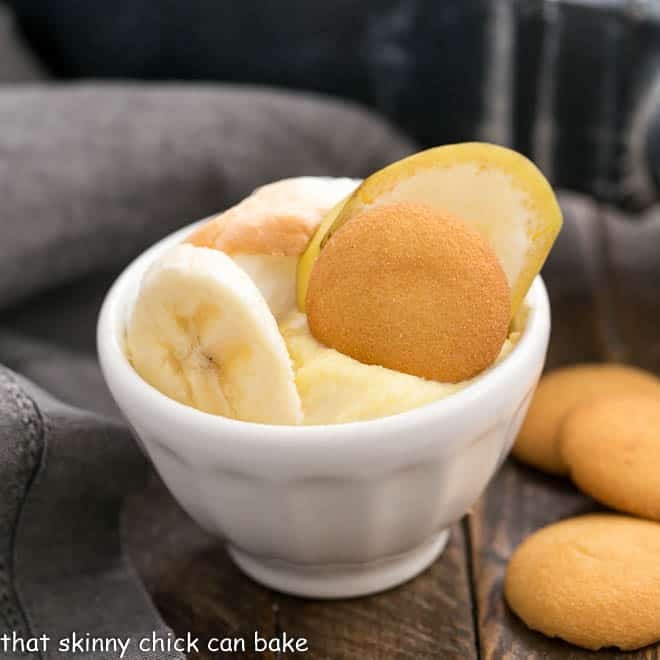 Lemony desserts are always a favorite in our house. And this one is no exception. SOOO delicious.